Sura 51, Drivers of the Winds (Al-Dhãreyãt) Quran The Final Testament, translated by Rashad Khalifa, Ph.D.
[51:4] Distributing them as commanded.  [51:5] What is promised to you will surely come to pass. [51:6] The Day of Judgment is inevitable. [51:7] Despite the perfectly created sky. [51:8] You continue to dispute the truth. [51:9] Deviating therefrom are the deviators. [51:10] Woe to the falsifiers. [51:11] In their blundering, they are totally heedless. [51:12] They question the Day of Judgment. [51:13] The day they are presented to the fire. [51:14] Taste the retribution; this is what you used to challenge. [51:15] The righteous have deserved gardens and springs. [51:16] They receive their Lord's rewards, for they used to be pious. [51:17] Rarely did they sleep the whole night. [51:18] At dawn, they prayed for forgiveness. [51:19] A portion of their money was set aside for the beggar and the needy. [51:20] The earth is full of signs for those who are certain. [51:21] And within yourselves; can you see? [51:22] In the heaven is your provision, and everything that is promised to you. [51:23] By the Lord of the heaven and the earth, this is as true as the fact that you speak. [51:24] Have you noted the history of Abraham's honorable guests? [51:25] They visited him, saying, "Peace." He said, "Peace to you, strangers!" [51:26] He asked his family to prepare a fat calf. [51:27] When he offered it to them, he remarked, "Do you not eat?" [51:28] He harbored fear of them. They said, "Have no fear," and they gave good news of a knowledgeable son. [51:29] His wife was astonished. Noting her wrinkled face: "I am a sterile old woman." [51:30] They said, "Thus said your Lord. He is the Most Wise, the Omniscient." [51:31] He said, "What are you up to, O messengers?" [51:32] They said, "We have been dispatched to criminal people. [51:33] "We will shower them with rocks of clay. [51:34] "Marked by your Lord for the transgressors." [51:35] We then delivered all the believers. [51:36] We did not find in it except one house of submitters. [51:37] We set it up as a lesson for those who fear the painful retribution. [51:38] In Moses (there is a lesson). We sent him to Pharaoh with manifest proofs. [51:39] But he turned away, in arrogance, and said, "Magician, or crazy." [51:40] Consequently, we punished him and his troops. We threw them into the sea, and he is the one to blame. [51:41] In `Aad (there is a lesson). We sent upon them disastrous wind. [51:42] Anything that it came upon was utterly destroyed. [51:43] In Thamoud (there is a lesson). They were told, "Enjoy temporarily." [51:44] They rebelled against the command of their Lord. Consequently, the lightning struck them as they looked. [51:45] They could never get up, nor were they helped. [51:46] And the people of Noah before that; they were wicked people. [51:47] We constructed the sky with our hands, and we will continue to expand it. [51:48] And we made the earth habitable; a perfect design. [51:49] We created a pair (male and female) of everything, that you may take heed. [51:50] You shall escape to GOD. I am sent by Him to you as a manifest warner. [51:51] Do not set up beside GOD any other god. I am sent by Him to you as a manifest warner. [51:52] Consistently, when a messenger went to the previous generations, they said, "Magician," or, "Crazy." [51:53] Did they make an agreement with each other? Indeed, they are transgressors. [51:54] You may disregard them; you cannot be blamed. [51:55] And remind, for the reminder benefits the believers. [51:56] I did not create the jinns and the humans except to worship Me alone. [51:57] I need no provisions from them, nor do I need them to feed Me. [51:58] GOD is the Provider, the Possessor of all power, the Supreme. [51:59] The transgressors have incurred the same fate as their previous counterparts; they should not challenge. [51:60] Woe to those who disbelieved from the day that is awaiting them.